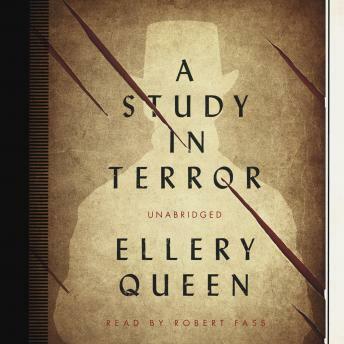 Ellery Queen and Sherlock Holmes are the undisputed masters of analytical deduction—their talents and methods strikingly, almost uncannily, alike. Through the strange interlocking of events past and present, the two celebrated detectives meet to focus their razor-sharp intellects—and their brilliant powers of observation—on the mystery of … Jack the Ripper. History’s most depraved murderer, Jack the Ripper’s victims were the whores of Whitechapel. Lurking in narrow, fog-shrouded alleys, he crept forth night after night to murder—and mutilate. Eluding Scotland Yard’s most heroic efforts to track him down, the Ripper continued to satisfy his unnatural appetites, unrestrained—and unidentified! Can Queen and Holmes unmask the notorious killer? Uniquely imaginative, A Study in Terror is a masterpiece of mystery and suspense.